So what did I think of the book? I wasn't too sure of the title as it meant nothing to me but don't let that put you off one of the most interesting cookery books I have seen in a long time. 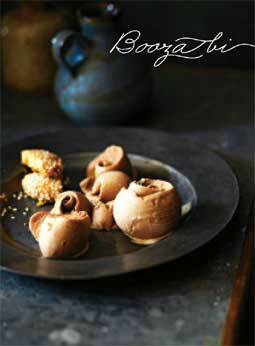 The book is written by Sharon Salloum, a name I was not familiar with, who together with her sister runs a Syrian restaurant in Sydney, Australia called the Almond Bar, hence the title of the book. 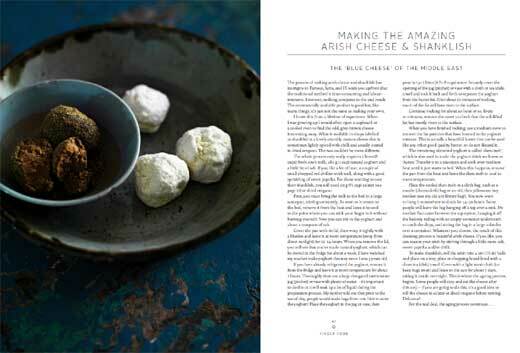 As you would expect all the recipes in the book are based on Syrian traditional cooking and food. When I was in my early teens I was lucky enough to be friends with a young Syrian boy for a couple of years. We were both away at boarding school, which is something you do not associate with good food. From time to time, during the term, we would get parental visits or days out. Returning to school we would come back stocked up with all sorts of goodies to eat. The food my friend brought back was very different to what the rest of us did. These occasions were the only time I have ever got to try any Syrian cooking. I have lasting memories of helping him to scoff his supply of Kibbeh. Imagine my delight on looking through the index to Almond Bar to find several different recipes for this Syrian dish, often thought of as the national dish of Lebanon (something I did not know). If I don't try anything else from the Almond Bar I will be trying to make my own Kibbeh, and bring back memories from long ago! Leaving Kibbeh aside this is a wonderful book of recipes and just reading the descriptions and ingredients makes your mouth water. The recipes are very clearly laid out with easy to follow instructions. What adds a nice touch to each recipe of the comments or descriptions that Sharon has added, as well as the classy photography. Whilst I'm sure the book only covers a small part of Syrian cooking and food it certainly gives you an insight into what it is all about. I don't think anyone looking at this book will be disappointed as it is beautifully put together, well-written and will give you some new and refreshing ideas to try either on your family or your friends. I certainly highly recommend this book . 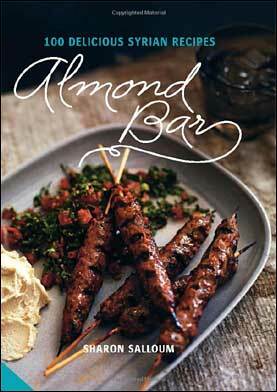 . . and if I ever found myself in Sydney, Australia I would make a beeline for the Almond Bar restaurant. 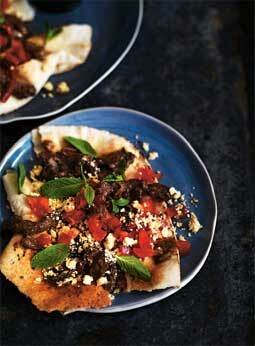 Australian-born Sharon Salloum learnt to cook authentic Syrian food from her mother and aunts. With an instinct for hospitality but no formal training, Sharon taught herself to run a commercial kitchen, and in 2007 she and her sister Carol opened their successful Almond Bar restaurant in Darlinghurst. Sharon is an active member of Sydneys food community and is passionate about the artistry of Middle Eastern food, participating in food tours and television series such as Food Safari on SBS. Almond Bar is her first cookbook. Sharon, co-owner and chef of Almond Bar restaurant in Sydney, was brought up in a traditional Syrian household, where a steady stream of friends and family were welcomed with generous offerings of food and drink. Helping in the kitchen, Sharon learnt to cook from an early age, and developed a strong sense of pride in her Syrian heritage. My younger brother Steven is obsessed with kafta. When we were younger, my mother spent much of her time at family barbecues trying to get him to eat more than just kafta! Who would have thought that some minced (ground) meat, onion and parsley kneaded together with a couple of spices and barbecued would be such a beautiful combination? Mixing minced (ground) meat with these ingredients is very Middle Eastern. There are also variations known as kofta or keftedes in Greece, Turkey and Morocco, usually shaped as meatballs. The key to good kafta is not to overcook them. You will need 20–25 bamboo skewers (approximately 20 cm/8 in long) for this recipe. Place the lamb in a medium bowl with the onion, parsley, red (bell) pepper, salt, pepper and seven-spice mix and knead together until very well combined. To shape the kafta mixture onto the skewers, pour the olive oil into a shallow bowl and use it to lightly coat your hands to stop the lamb sticking to them. Hold a skewer in your left hand (if you are right-handed; vice versa if you are left-handed). Pick up a portion of kafta mixture slightly larger than a golf ball in your right hand and pierce it through the centre with the sharp end of the skewer until the ball is about 3 cm (1¼ in) from the point. 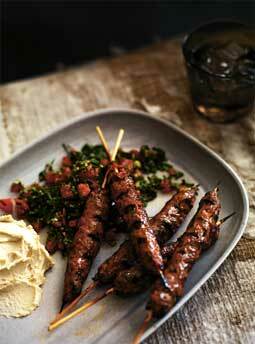 Using the same hand, shape the kafta into a sausage, ensuring it remains evenly wrapped around the skewer. Leave another 3 cm (1¼ in) gap at the bottom of the skewer. You can leave more if you like, but dont make your kafta too thick otherwise they might not cook through. Repeat with the remaining mixture to make 20  25 skewers. Preheat your barbecue for about 10 minutes and lightly oil the grill (broiler). Cook the kafta on three sides (that is, turning twice) for 3  4 minutes each side or until browned. If you cook them on all four sides you risk overcooking the kafta, causing them to dry out. Serve immediately  always with hummus and tabouli. They are a team that cannot be separated! This is probably the most popular street food in Damascus. It is traditionally cooked the same way as a doner kebab. Layers of meat (normally beef or lamb) are placed on a large steel rod and cooked on a rotating plate against an open flame. Back in the day, the open flame was wood-fired, but these days it’s a gas flame. In Syria, shawarma is traditionally served on a piece of Middle Eastern bread with hummus or tahini sauce (see pages 18 and 21), pickles, tomato, cucumber and onion. Here is my recipe for a homestyle shawarma. The meat is softened with vinegar and seasoned with a beautiful array of spices, and I have added what I love best with cooked meat – cheese! Available from Middle Eastern grocers, shanklish is a lovely dried and slightly aged yoghurt cheese coated in dried oregano. 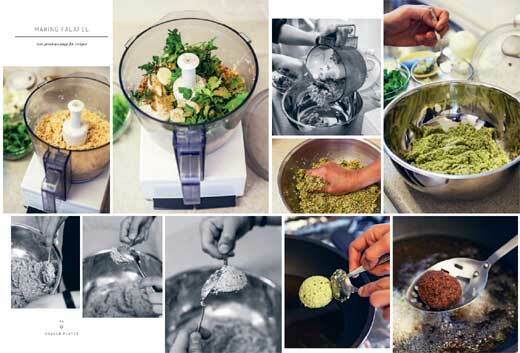 If you’re up for a challenge, try making it yourself (see page 47). Shanklish may be replaced with another crumbly cheese, such as a crumbly blue or vintage Cheddar. The meat needs to marinate overnight so start this recipe a day ahead. Using a mortar and pestle, crush the cumin seeds, cloves, peppercorns, cardamom pods, paprika, cayenne pepper, salt and pimento or seven-spice mix to a fine spice blend. Run the spice mix through a fine sieve and discard any large pieces or husks that cannot be crushed. Place the beef in a large bowl, add the spice blend, vinegar, garlic, onion, red (bell) pepper and 125 ml (½ cup) olive oil and mix until the beef is evenly coated. Cover and marinate in the fridge overnight to enhance the flavour and allow the vinegar to soften the meat. Heat the remaining olive oil in a large frying pan (skillet) over high heat. Drain the beef strips, then add to the pan and cook until nicely browned. If you cover the pan for a few minutes, the steam will speed up the cooking process without toughening or overcooking the beef. Arrange the Middle Eastern bread on a large serving platter and place the cooked beef in a mound in the middle. Crumble the shanklish cheese over the beef, followed by the diced tomato. Sprinkle the mint leaves over the top and serve immediately. 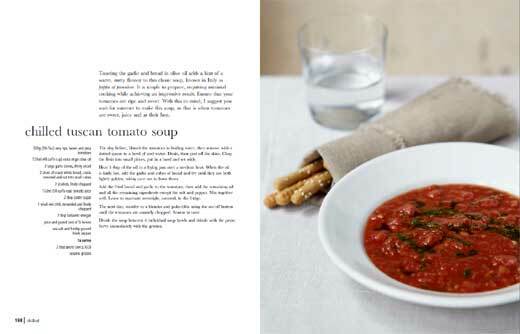 If you like, serve with potato salad or cabbage salad with almonds (see pages 100 and 91). When I first started to cook at home at the age of eight, it was mostly baked goods. Okay, I admit, it was mostly chocolateflavoured baked goods. Pistachios were big in my family too – they could be found in my mother’s fridge at all times and were eaten raw. In Arabic, pistachios are called ‘fistor halabeh’ which translates as ‘the nut of Aleppo’. Syria is the second largest producer in the region and even has its own type of pistachio. It was inevitable that I would combine the two, and the result is this creamy ice-cream that isn’t too sweet and has a little crunch. Place the pistachio nuts in a food processor and process for about 2 minutes until finely chopped (don’t overprocess or the nuts will become a paste). Tip into a small bowl and wipe out the processor bowl to clean it. Process the sugar and egg yolks in a food processor until well combined. Set aside. Place the cream, chocolate and vanilla seeds in a medium heavy-based saucepan over high heat and cook, stirring constantly, until the mixture is just below the boil and the chocolate has melted. Reduce the heat to low. Pour the egg yolk mixture into the chocolate cream and stir until smooth and well combined. Cook, stirring, over low heat for 10 - 15 minutes or until the mixture has thickened enough to coat the back of a spoon. Fold in the chopped pistachios. Pour the custard into a stainless-steel bowl or baking tray (cookie sheet) and let it cool at room temperature for about 30 minutes, then place in the fridge until it has cooled completely. This will take about 2 - 3 hours. Take the chilled custard out of the fridge and churn it in an ice-cream maker, following the manufacturer’s instructions. Place the ice-cream in the freezer for 3 - 4 hours or until firm. If you don’t have an ice-cream maker, transfer the cooled ice-cream mixture from the fridge to the freezer and leave it for 6 - 8 hours, stirring it with a wooden spoon every 1 - 2 hours for the first 4 hours, and then let it freeze firm without stirring. Serve the ice-cream with the biscuits (cookies).